Girlboss says my 2018 mantra is: “Getting real is the way to heal.” Shoutout to my fellows Sags out there! Their horoscope told me it’s my year to build a business foundation (ok ok), prepare for some love trouble in the summer (hmm), and forgive, forgive, forgive. Curious to see what stands true with that type of prediction but I’m just another gal out here trying to live the hustle life. Speaking of which, I'm trying something new for 2018: actually writing down some hopes, dreams and intentions. This isn’t a wildly inventive idea, but it’s a different strategy for me. In the past I’ve come up with couple things I hope to accomplish – pay off a student loan, lose weight, etc. – but I’ve never created realistic habits to reach those goals. Let’s press reset and try a different tactic, shall we? On the 1st, I spent 30 minutes writing down a list of general intentions that I’d like to practice this year. 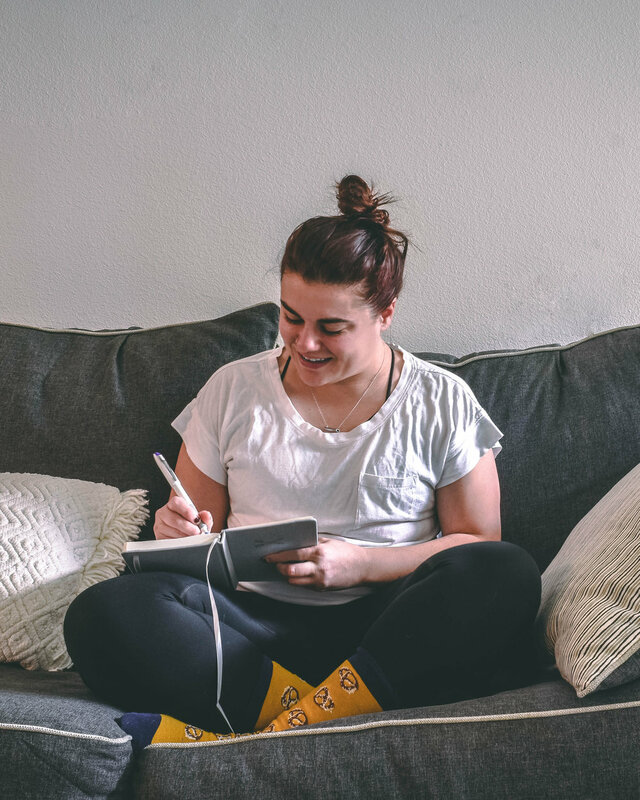 Then I created a list of 5 goals to pursue those intentions for the month of January. I plan to keep a journal and write a few things each day on what I learned, tried, or failed at and how I can make those things better the next month (seems legit). This is how I hope to create some lasting habits so let’s see how it goes! They’re all pretty vague, but that’s what I wanted for the overall year. Vague intentions, kind of open to interpretation to allow myself monthly tasks to pursue these ideals. We’re not the same people tomorrow as we are today, and I want to leave space for that growth. Write 3 friends a letter + mail it! And there you have it! A full year’s intentions and 5 goals for the first month. 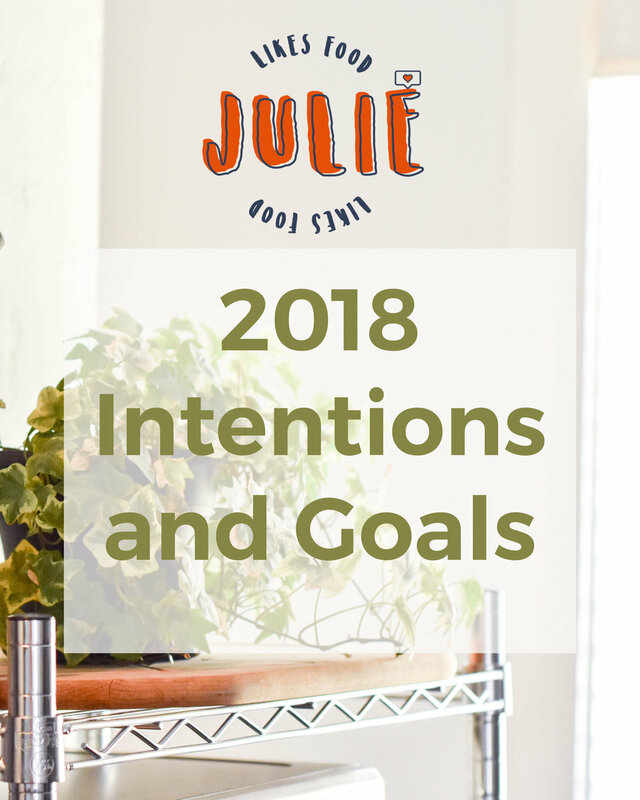 I’ll be posting lots of updates on Instagram (@julielikesfood) along the way, but in the meantime, I’d love to hear your goals! What’s one hope, dream, goal, or intention you’ve set for yourself in 2018?